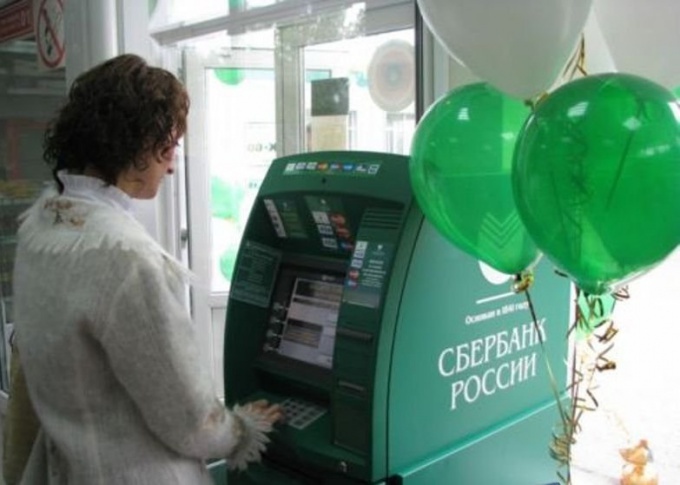 Sberbank of the Russian Federation is the most common and reliable Bank located on the territory of Russia. Persons who are citizens and non-parties, prefer to have a passbook and plastic cards in it. To check the status of account in several ways. Please contact the branch where you have opened a passbook or a plastic card or Central office of Sberbank. Express your request to check the balance on your personal account to the Bank employee. Imagine an identity document, card number, account number, plastic card or a passbook. A Bank employee by checking the data, will ask you to say a code word that you invented, when was concluded an agreement with Sberbank. After that, the expert says or writes the amount of cash that are on your account. Upon receipt of this information you put your signature and date. If you use the services of Sberbank, with the help of credit cards, choose that is near to your location ATM, insert the card into the card slot. On the keyboard enter the pin code. It consists of four digits, a combination which no one can pass, including Bank employees. On the monitor of ATM machine choose operation corresponding to the checking the status of your account. Balance information you can display on the screen and on the receipt. Checking the balance on the card or passbook can be done by dialing a toll free number, savings Bank of the Russian Federation. Switch your phone to tone mode, enter the required information requested by the answering machine. The status of account you can learn around the clock. The modern world cannot be imagined without the Internet, which you can use to go to the main website of Sberbank and by activating the service online Bank balance check account. You must register to submit passport details (series, number, when and by whom issued identity document), details of the card or passbook. Having to mobile phone a code, enter it in the field. And after the call operator you will receive the ID by which you will be able to use this service.